Y’all know I am obsessed with Pinterest! So many beautiful things and great ideas – it provides hours of entertainment…or procrastination! I thought I would start sharing some of my favorites Pins. 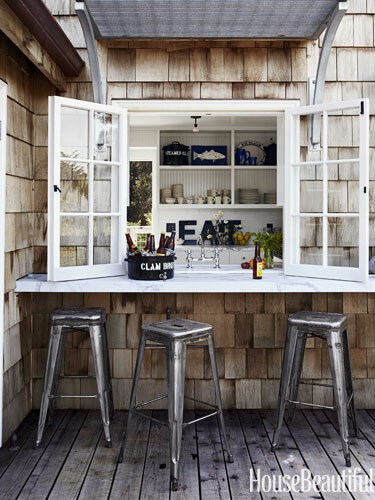 I adore this beach side cottage bar from House Beautiful. Everything from the shaker shingles to the windows to the stools is absolute perfection. Have a great week my dears! This entry was posted in Uncategorized and tagged design, inspiration, interior design, nautical. Bookmark the permalink.